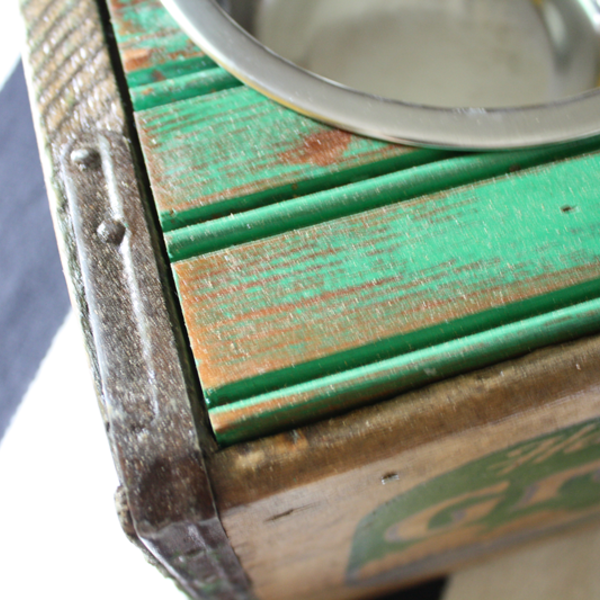 We love being able to incorporate handcrafted furnishings in our home and we are continually inspired by vintage goods and finding a new purpose for them. 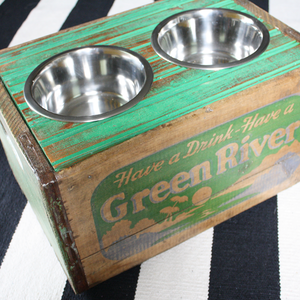 We decided that we didn't like the way our water/food bowls for our pet labrador looked in our kitchen. 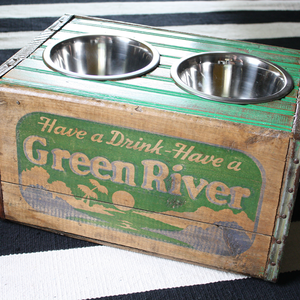 The dishes often got kicked around and dog food constantly spilled as our clumsy lab would eat. 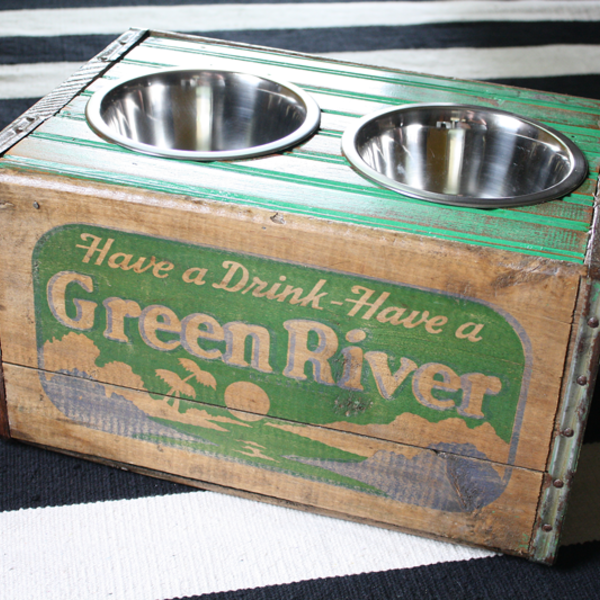 My husband decided to build a new pet dish using some vintage soda crates we found. Since they were open at the top, he used reclaimed bead board from an old porch that was being torn down in our rural town to make a top to hold the pet food bowls.